According to Time Magazine, fewer than two-thirds of law school graduates were able to get jobs upon graduation in 2009. Those numbers reflected the reality of the economic climate at the time. Fortunately, four years later, the market has improved somewhat. However, with tens of thousands of lawyers entering the job market each year, the fight for work and for lucrative clients can be a hard one. However, with a few strategic marketing techniques in your arsenal, you can attract more new clients and improve your bottom line. It’s rare to find free marketing tactics that work and, let’s be honest, nothing is really free if it provides value. In the case of these tactics below, an investment of your time is required and if that time could be spent on servicing billable clients, then that time is money. But if your client load is light enough, then investing your time in one or more of these activities below will can tip the scales in your favor without you investing money. So, without further ado here are four free and powerful marketing tactics for small law firms. Sharing free legal information may sound counterproductive when you’re trying to drum up new business, but it helps to position yourself as an expert in the community. When potential clients see you in this light, they are more likely to reach out when they need a helping hand with a legal matter. Offer to do a presentation at a community college, at a trade show, or during a professional meeting. If you hate public speaking, write letters to the editor of your local paper or find a radio show that covers a topic related to your practice. Offer basic information about the type of law in which your firm specializes, without providing specific legal advice, and answer general questions as needed. You will whet the appetites of anyone who needs more thorough information or legal help. Review your jurisdiction’s ethical rules and then, if permissible, find non-competitive professionals like accountants, real estate agents, or mortgage consultants to whom you can refer your clients. Then, make sure the referrals are mutual. The American Bar Association recommends creating joint marketing efforts with that professional. For instance, drum up extra attention by sending a newsletter full of legal tips on buying a residential property with your name and contact details to a real estate agent’s list of clients. 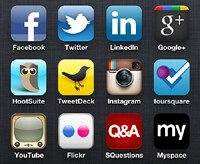 Set up a social networking account so that you can use it to keep in touch with old clients and reach new ones. The key to getting and keeping followers is tweeting or posting useful or amusing information. Legal sound bites, links to articles about offbeat legal cases, and occasional links to your blog are all great fodder, but don’t talk about yourself very much. The more people who like and follow you, the more exposure you will get. Get involved with YouTube as well. Review your jurisdiction’s ethics rules and then create a few videos full of advice like “5 Tips for Getting the Custody Arrangement You Need” or “Pitfalls to Avoid when Creating a Trust.” Promote these videos through your social media platforms, and be sure to include your contact information on the video itself–that way anyone who finds the video through a Google search will know how to reach you. Old fashioned word of mouth is still an effective way of increasing your client base, and one of the best ways to generate a positive buzz is by having thoughtful and constant contact with your current clients. While working on their cases, ensure that you put your best foot forward by using state of the art communication tools. Stay in their thoughts by sending them snail mail or digital alerts, even if you aren’t working on a case for them. That way they will always have you on their shortlist of go-to professionals.